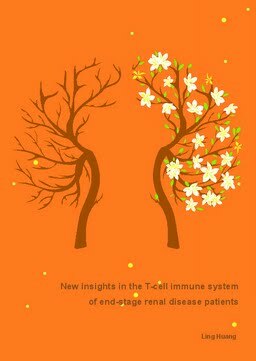 Uremia-associated premature T-cell ageing contributes to a defective T cell-mediated immune system in End-stage renal disease (ESRD) patients. A comprehensive more in depth evaluation of defective T cell-mediated immune system, taking functional aspects into account, in ESRD patients is crucial to identify patients at risk for infections, virus-related cancers, and decreased vaccination efficacy and allograft rejection. In this thesis, a more detailed assessment of the defective T-cell mediated immune system, studying both phenotypic as well as functional aspects, in ESRD patients is described. Special emphasis is put on the increasing population of elderly ESRD patients.